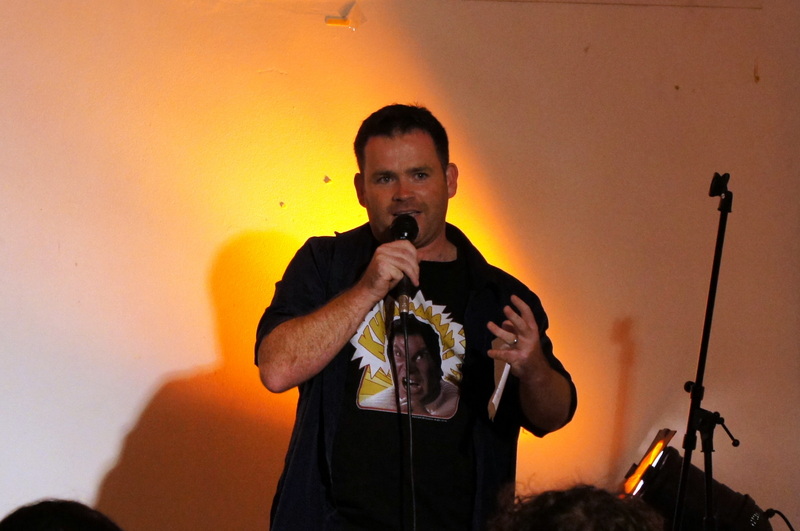 Sydney Comedy Festival 2013 – Is it Yerself? 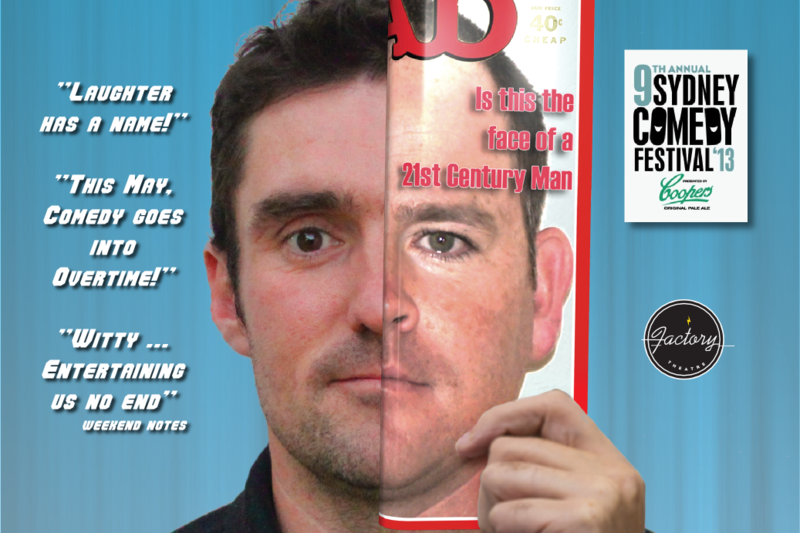 After a very successful sold out run at the Sydney Fringe Festival, Andrew Barnett and I are delighted to bring our performance, One Man Show, to the Sydney Comedy Festival. In the 21st Century there are many expectations about what a Man should be. Between them Dave Keeshan and Andrew Barnett meet almost all of these expectations. 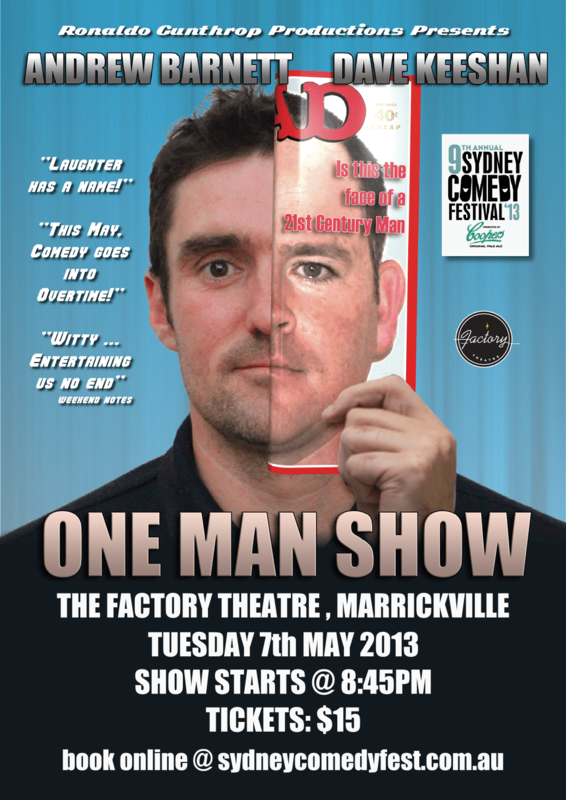 Our show is on the 7th of May 2013 at the Factory Theatre in Marrickville starting at 8:45PM. Tickets can already be purchased online and you can find them here. It is going to be a great night, so make sure you book tickets before it sells out. 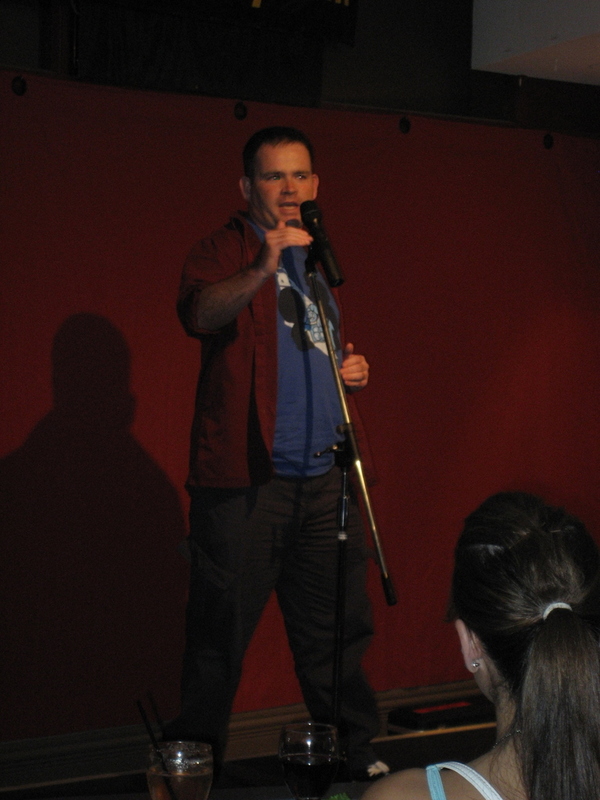 Keep an eye for a few posts in advance of our date where I try and rattle out a few squirrely things in my head.